The 1960s Batman TV Series has always held a special place in my heart- ever since I started watching the brief reruns on WNYW/Channel 5 during the 1984-85 season as well as during the summer of Batmania in 1989 on WPIX 11. I had a hard time when Yvonne Craig died back in 2015 as her Batgirl remains one of my favorite live-action super hero characters to this day. As you have no doubt heard- Adam West died this past weekend- I never got to meet the man, but I always had fun with his take on the Caped Crusader. That being said, I was definitely attached to his version of the Caped Crusader possibly more than any other live-action interpretation to date. (Michael Keaton is a close 2nd as I still love the two Tim Burton films to this day.) Adam played Batman relatively straight compared to the actors who played his over-the-top villainous counterparts like Burgess Meredith or Cesar Romero, though West had his fair share of zany too- such as the show defining Bat-Tusi dance from the very first episode of the series. Comic book fans haven’t always been kind to the 1960s series over the years, but thanks to Adam West, Batman permeated pop culture- he was everywhere in the 1960s- from lunchboxes to trading cards, different toys and more. Most people of that generation will likely tell you that they got into Batman because of Adam West and the ABC show. It may have been tarnished somewhat when DC decided to return Batman to his gritty roots in the 70s, but campy, humorous Batman has a place in DC’s history books as well. West’s portrayal definitely brought a different dimension to the historically dark character and fans ate that up- even down to this day with new merchandise still being released for the show. Everyone has their heroes- I was at a convention with a friend this weekend, where he got to meet one of his personal childhood heroes. That was where I found out about Adam West’s passing. I didn’t want to believe it, especially as he was scheduled to appear at a convention in August- but somehow I knew it was true. I don’t think the weight of it has settled in yet- I will say this much though- the Adam West/Burt Ward series definitely shaped my perceptions of what Batman should be as well as which other characters I expect to see in a good Batman adaptation- this includes The Joker. Catwoman, The Penguin and the Riddler as well as Barbara Gordon’s version of Batgirl. All of these characters were made important due to the success of the TV show and DC used them as definitive Batman villains and allies going forward from 1968 to the present. Adam’s Batman, as well as Burt Ward’s Robin and of course Yvonne Craig’s Batgirl, were just a few of my childhood heroes- there’s definitely others, but this particular trio was always special to me and it is a reminder of one’s mortality when your heroes start dying. For many, Adam West will forever be remembered as Batman, younger generations will know him as Mayor West from Family Guy. Some may even recall his work with Batman: The Animated Series as the Grey Ghost, Bruce Wayne’s childhood idol. No matter what role, Adam West has earned the right to be considered a legend due to his part in the nearly 80 year legacy of Batman. Whether he was playing the suave debonair millionaire or the strait-laced boy scout of a crimefighter, Adam West will always be a part of my childhood and I will keep his Batman interpretation close to my heart. Thanks for the memories, Adam- rest in peace. A few years ago, I found myself at Target on Thanksgiving night and saw season 1 of the CW series Arrow on sale, so I decided to give it a shot- one since I was a massive DC fan, two since I am and always will be a fan of Dinah Laurel Lance, the Black Canary whom I knew was a regular character on the series. It helped that an actress(Katie Cassidy) that I liked from previous roles was cast as Laurel, which was the name they called her by on the show and I also knew she wasn’t Black Canary yet. I didn’t watch the series right away, but when I did, I was hooked. It had action, a strong male and female lead, easter eggs to DC characters minor and major and an intriguing femme fatale in Oliver’s own mother. Before I read reviews online, I had no idea how badly Laurel’s character had been received on the series, I loved her and thought she was for the most part fairly well-written. Others despised her because she was frequently antagonistic to Oliver, although in most contexts she had every reason to be. Many of the show’s fans were instead drawn to a new character named Felicity Smoak, who in the earlier seasons fulfilled the awkward sweet tech girl role and was a fun character and they decided that they wanted to see her with Oliver, which in and of itself is fine, Ollie and Laurel didn’t need to be together throughout the series. Season 2 was a great season which found Oliver facing off against Deathstroke and introduced us to Laurel’s sister, Sara- who was going by the Canary in her costumed persona. That was also fine, Laurel has always been the second person to use the Canary persona, inheriting it from a relative. Katie Cassidy had a strong character arc for Laurel during season 2 where she found herself hitting the bottle and clashing with her family and Oliver before she picked herself out of her funk and started to become a stronger character from it, setting the stage for her taking on her comic book destiny as the Black Canary. Laurel also had her own nemesis during season 2 in the form of Brother Blood, which folded in nicely with the larger story of the season, especially as she found out Oliver’s identity as the Arrow and exposed Brother Blood in conspiring with Deathstroke to kill Ollie’s mother. Season 3 had different showrunners at the helm and found Sara assassinated and falling right into Laurel’s line of view, causing her to take up her sister’s mantle and become the Black Canary, saving the city with Oliver’s team as he had gone missing after fighting Ra’s Al Ghul and continuing in the role into the next season. Season 4 found Laurel still fighting the good fight but relegated to a background character for much of the season. It also teased that someone would die 6 months from the premiere. Despite the fact that Black Canary has a strong comic book pedigree and nearly 70 years of stories that could be told, the people in charge of the show decided to kill off Laurel Lance instead of drawing from the rich catalog of stories that they could have. Showrunner Marc Guggenheim didn’t even have a good reason for murdering off the last authentic comic book character other than Oliver, just that he had to fulfill the promise of killing someone off and that Laurel’s death would make in his opinion, the best storyline. There were other things he said that led to their choice of Laurel, but they reek of BS. The kicker is that they’ve also dismissed the comic book fans by saying that they are aware of the comics but ultimately think they are making the best story, which they really aren’t. They also revealed that they never had any intention of pursuing the Laurel/Oliver pairing again which is also another slap in the face to comic book fans, whom without there wouldn’t even be these characters to write about in the first place. You don’t need to be a slave to the comics but you need to at least honor the source material and not kill characters that are intrinsically tied to the main character across different forms of media. Plus the way she went out didn’t even honor her as a heroine as she is killed to send a message to her father and to make Diggle and Oliver feel guilty. Thea Queen– I would have left her alone, she is still one of the best characters on the show and I will miss her. Quentin Lance– He was grave candidate number one for me. I would have killed him off and had that trigger the next round of stories including Laurel improving herself and growing more into her Black Canary role. He also would have propelled Felicity’s story since he is dating her mother as well as Oliver whom he had a strained father figure/son relationship with. They could have found a way for Thea and Diggle to be affected as well. This also fits in well with the theme of parents sacrificing themselves for their children that the season seemed to be writing towards. John Diggle– since his brother betrayed him, it would have made sense for Dig to pay the ultimate price. This would have affected all of the Team as well. Felicity Smoak– Is a shrill and abusive girlfriend and frankly the way they’ve written her this season makes any sensible person want her in the grave, alas she was shown as safe during the midseason premiere. In all, I would have preferred that they left the entire team alone since I generally like all of them, including Shrillicity when she’s written well. That boneheaded decision finds me breaking up with a series that I used to love and support. I’ve talked about Arrow in my weekly column quite frequently. I’ve met Stephen Amell and Katie Cassidy and I still have a ticket for the next Heroes and Villains Con which I’m not as excited for unless Katie attends. I’ve bought the tie-in comics, the action figures, DVDs and trading cards but that ends here. The last thing I will buy that is Arrow related is the forthcoming Laurel Lance/Black Canary action figure, since she was the one that was wronged and she is and always will be my favorite.The only way you’ll get me watching the show again and buying the merchandise is to reverse the death, I can live with the Oliver/Felicity pairing though I despise it, but Laurel should never have died in the first place. R.I.P. Laurel Lance and Arrow. She deserved better. If you are upset as I am, I want to hear from you on Twitter: ValentineC1979 and you can also tweet #NoLaurelNoArrow, if you’re appalled by this decision. The year was 1984: Me and my parents had just moved back to New York City after spending a year or so living in Florida. I was five years old with an impressionable young mind and took in all I could of the city while driving around with my dad in his car. One of the most vivid memories I have from that year was seeing a now very iconic movie poster on scaffolding on one such occasion. Considering when the film was released it had to have been around October or so- the movie: Wes Craven’s A Nightmare on Elm Street. The poster painted by Matthew Joseph Peak combined with the memorable tag line: “If Nancy Doesn’t Wake Up Screaming She Won’t Wake Up At All” has never ceased to fascinate and terrify me at the same time. The artwork for the Freddy’s Revenge poster just one year later also captured my attention because of how chilling and well-composed it was. 1987’s Dream Warriors poster scared the bejeezus out of me as well. Peak was a master of his craft for sure. I finally got over my fear of Freddy in my mid-20s. I caught the 2006 Infinifilm release playing onscreen at my very first Fangoria convention and decided to jump in and buy the movie and I’ve loved A Nightmare on Elm Street ever since. As those of you who’ve read my weekly column know- I am a strong proponent of fierce, powerful female characters and one of the very best of those is the heroine from this film- Nancy Thompson played by Heather Langenkamp. I loved Nancy so much that I refused to watch her on-screen demise in A Nightmare on Elm Street 3: Dream Warriors for a long time. I eventually got around to the rest of the series after meeting Heather, Robert Englund (a sweetheart through and through and since meeting him, I’ve had no Freddy dreams) and most of the cast of Part 1 at Monster Mania in 2009 for a 25th Anniversary reunion. The Nightmare films are definitely my favorite horror franchise- they’re innovative, scary, not gory for the sake of gore (i.e. very few body parts flying around, no real eviscerations, etc. ), fantastical and usually feature strong heroines and characters you actually care about. The trailer for the first film refers to it as a horror-fantasy and I’ve always seen it and the rest of the series that way(not counting Freddy vs. Jason). Wes was the mastermind behind the original film which is arguably the best in the entire series. His involvement with the later sequels was largely non-existent, though he had a hand in Dream Warriors and the wildly innovative Wes Craven’s New Nightmare which involved several original cast and crewmembers playing themselves. If you’ve been in the store lately we’ve had almost nothing but the original Nightmare and New Nightmare playing on the screen during my shifts in tribute to Wes. Even though we’ve lost the man, his ideas and films live on through home video and merchandise including toys mostly of Freddy though there’s also been a couple of static Nancy pieces as well as items of Ghostface from Scream. Beyond the Nightmare films, Wes also directed The Last House on the Left, The Hills Have Eyes, The Serpent and the Rainbow, DC Comics’ Swamp Thing and the Scream franchise amongst others. I never got to meet the man, but Craven has certainly left an indelible impression on me through the power of film, one burnt villain, a plucky, courageous heroine and a common street name that is probably most associated now with Freddy than anything else. If you are or were a fan of Wes I’d strongly recommend seeking out the excellent four+ hour documentary Never Sleep Again which takes a pretty in-depth look at the franchise including many interview snippets with him as well as the majority of the casts for all 8 of the films in the original series. Rest in Peace Wes- Thanks for the screams and nightmares and everything in between. Top 5 favorite moments from a Wes Craven-directed Nightmare film. 5. Tina Grey’s(Amanda Wyss) final nightmare sequence where she is chased by Freddy, overwhelmed and murdered while being dragged on the ceiling of her mother’s bedroom- with her boyfriend Rod (Nick Corri) watching helplessly, the sequence is recreated with a few adjustments in New Nightmare with Julie and her charge Dylan- A Nightmare on Elm Street. 4. Heather Langenkamp giving in to reprising her role as Nancy Thompson which blurs the lines between fantasy and reality to stop the entity that has taken Freddy’s form. As she starts to accept her fate- John Saxon changes from himself into Lt. Thompson, Heather’s clothes suddenly turn into Nancy’s pajamas and the exterior of Heather’s home becomes the Thompson house at 1428 Elm Street- Wes Craven’s New Nightmare. 3. Nancy’s dream sequence which finds her following Tina in a body bag down into the boiler room only to encounter Freddy himself both as the hall monitor and in his more familiar form- A Nightmare on Elm Street. 2. Nancy’s iconic bathtub nightmare which finds her asleep while in the tub only for Freddy’s glove to join her and drag her under in an attempt to drown her. A static figure for this scene exists in Mezco’s Cinema of Fear Series 2 released in 2007- A Nightmare on Elm Street. 1. Ten seconds remain on Nancy’s watch and she must find Freddy to bring him out into the real world. When he emerges from underneath the trellis, Nancy doesn’t hesitate to jump straight into his arms to try and grab a hold of him so she can wake up with him in tow. Probably one of the few if not only times a horror heroine runs to their attacker instead of away from him in an attempt to stop his madness once and for all- A Nightmare on Elm Street. My world is a little less bright today. This morning (August 19th) as I was waking up to get myself ready for another Wednesday morning at Forbidden Planet I had gone on my phone to check Facebook as I am wont to do. I’ve been rewatching the classic Batman TV series since I received the entire series as a Christmas gift. My favorite season of the entire series is the 3rd Season, which, if you know your Batman history was the season that introduced Yvonne Craig as Commissioner Gordon’s daughter: Barbara, who by day was a librarian but at night was Gotham City’s “best-dressed crimefightress”– Batgirl. Anyway, as I’ve been rediscovering the series I started liking pages on Facebook, finding all sorts of websites discussing the classic TV show and also digging out any related books on the show. One specific Facebook page that I liked was an Yvonne Craig fanpage which not only covered her Batman work but other stuff she had done as well. It was early- maybe around 6 in the morning when I noticed the page had a post where the author wrote that he was “saddened to say that Yvonne Craig died August 17, 2015.” My mind was reeling from the news, Batman(’66, as it has been known since merchandising for the show started back in 2013) has been a huge part of my life since I was a kid. I have a vague recollection of watching it sometime during 1984 or 1985 on Channel 5 WNYW. I can remember one thing clearly from that mostly hazy(fitting, considering the villain’s motif) memory and that was the cliffhanger shot of Batgirl chained in Lord Ffogg’s dungeon from the episode “The Foggiest Notion.” I never saw the resolution of that cliffhanger on WNYW, but would eventually catch the entire run of 120 episodes on both the Family Channel and WPIX 11 during the Batmania revival of 1989. I recorded all of the special event nights that The Family Channel did where they would run a two hour block of episodes(usually on a Friday). It was during one of those nights where I remember seeing my ‘first’ episode with Batgirl. The episode: “Ring Around the Riddler” aired after the Penguin and Marsha, Queen of Diamonds Three-Parter. I loved seeing the different opening credits with Batgirl kicking the thug and her cycling across the screen on her BatgirlCycle. Something about the character and her laughing in the face of danger while being glamorous and feisty appealed to me. I was hooked on Batgirl and Yvonne Craig from that moment on- to the point that I ended up watching both of the films she made with Elvis Presley. As a kid during the 80s and 90s, I spent quite a few weekends watching my recorded Batman episodes on VHS and eventually I only watched season 3 because my attachment to the Batgirl character and Yvonne’s portrayal, was so deep. Keep in mind that this was shortly after “The Killing Joke” had come out and Batgirl the comic book character was a distant memory leaving us the wheelchair bound Barbara Gordon who hadn’t yet- but would become, Oracle. I wore out a couple of my tapes from constantly rewatching them and didn’t have a way to replace the episodes as most channels had stopped airing Batman by the early ’90s. By the time Batman made its way back into syndication, I didn’t have a VCR anymore and I DVRed the Batgirl episodes to relive my childhood affection for her and the show. Thankfully the series is out on DVD and Blu-Ray now after years of legal wrangling and red tape. As I got ready to go to work, inspiration struck– I dug out my purple and yellow Batgirl logo shirt to wear and I make the decision to show as much of the third season as possible on the TV at work during my shift. I had a need to do something to honor one of my childhood heroines. I got to start the day out with the initial aired Batgirl episode: “Enter Batgirl, Exit Penguin” and made it all the way through to the notorious Season 3, Episode 19 “Nora Clavicle and the Ladies’ Crime Club” which not only has the infamous Siamese Human Knot Bat-Trap but is also extremely sexist seen thru modern eyes. I finally capped the whole marathon with the rarely-seen “Batgirl” pilot film that had been used to sell the character to the execs at ABC. Now as I type this out, I’m at home with the recently released Yvonne Craig Batgirl figure from Mattel, the NJ Croce Bendable figure, and a copy of Yvonne’s autobiography: “From Ballet to the Batcave and Beyond.” I am at the very least grateful that I got to meet Yvonne back in 2000 at a comic convention at Madison Square Garden where she signed and inscribed the aforementioned book to me. I’m also pleased that her legacy will live on not only because of the character she helped shape but also because she was truly a pioneer for female action heroes on the screen. The demand for new product from her era of Batman, along with forthcoming pieces featuring her as well as the series’ upcoming 50th Anniversary will help to ensure that her iconic turn as Batgirl will forever be emblazoned in her fans’ hearts. I will treasure all of it along with the memories and joy that Yvonne’s Batgirl has brought me for nearly three decades. The Terrific Trio has become the Dynamic Duo again. Rest in peace, Yvonne. Saddened by the news of Harold Ramis’ death today. I had the good fortune of speaking with him a number of times as he was an occasional customer of Forbidden Planet. Terrific, friendly fella whose works stand the test of time and will continue to do so. I’m sure anyone who’s seen Ghostbusters or Stripes can easily quote dozens of his iconic lines. Mr. Ramis in his prime was one of the funniest people on Earth (rent Stripes from Amazon Instant tonight, you already know Ghostbusters and/or Groundhog Day by heart) and as such should be remembered for all the haha’s he brought to your life. Here are the only two eulogies for him from people I know that’ve given me a chuckle. Harold Ramis is unfortunately now a Class 5 free-roaming vapor. Matt Groening has officially ended his iconic syndicated comic strip Life in Hell. It’ll be missed. His last strip ran 6/15/12. I discovered Life in Hell when I was a kid in the mid-80s as my mom would bring The Village Voice home each week, scouring the apartment listings and help wanted ads looking for a better gig. Tuesday and Wednesday nights my brother and I put aside a coupla minutes to chuckle at Binky and Bongo, Jeff and Akbar and even when it was waaaay over my head I still found it uproarious. She even picked us up the collections (from good oole Forbidden Planet, natch) as they were released, devoured so repeatedly that we could reference dozens of panels at the drop of a hat. We were precocious, too smart for your own damn good, wiseass kids. To say the least. I can easily say Life in Hell played no small part. My generation of altie cartoonists—artists whose work first appeared in alternative weekly newspapers like The Village Voice and SF Weekly, people like Tom Tomorrow, Ruben Bolling, Ward Sutton, Carol Lay, Keith Knight—walked through the door that Matt Groening’s “Life in Hell” kicked down in the early 1980s. It’s hard to imagine how the business model that sustained alternative social-commentary and political cartooning for two decades (and is now all but dead) would have evolved had papers not discovered the power of Groening’s strip and its ability to attract readers. Artistically and creatively, Groening was also a huge influence. His primacy of writing over art, a simple, stripped-down drawing style paired with sardonic, dark observations about life through an existential lens, multiple panels, the freeform use of interchangeable characters without continuing traits, much less story lines, were the template most of us followed. Groening was also a mentor to many of us, generous with time, advice and blurbs, a real comics fan who still haunts comic shops and conventions. His time understandably became more restricted due to “The Simpsons” and “Futurama,” yet he remained engaged, both in the comics scene and in “Life in Hell,” which has seen a quiet resurgence in relevance and energy in recent years. Groening is modern cartooning’s rock god, a Moses who came down from the mountain (or the East Village office of the Voice) and handed us the rules we followed. Now the Voice is a rotted husk, print has abandoned cartoonists along with its readers, and digital hasn’t figured out that people really really really love to read funny pictures, not just any funny pictures, but pictures drawn by the exceptionally funny people who need to be paid to spend their time and energy thinking up funny ideas, but if people remember Groening and what he was, or someone like him comes along again, all will be well again. Such is my love for Life in Hell that the Simpsons, Mr. Groening’s most well-known and loved creation, was the farthest thing from my mind the first opportunity I got the chance to meet the man at San Diego Comic-Con some years ago. I only wanted to thank him for the comic strips I dug so much, and to quote his own work back to him… A line that appears in the collection “Love is Hell” and has served me well to this very day. My favorite Ray Bradbury quote. The giant of 20th Century American literature (notice I didn’t amend that “science fiction literature”) passed away this morning in Los Angeles. Terrific fella. He will be dearly missed. Big thumbs up to Peter Dendle for putting together The Zombie Movie Encyclopedia, brought to you by the good people at McFarland Publishing. Whenever I see one of these zombie reference books there is one movie in particular I check for as a test of how extensive the research behind it went. Often overlooked as an entry in the zombie genre, but why? Unlike Bernie’s part one in which two morons pretend their boss is still alive so they can party at his beach house, part two involves real Voodoo, giving Bernie’s resurrection some serious legitimacy. Good job Peter for not only covering this film in your book, but also featuring a full page photograph. So pick up The Zombie Movie Encyclopedia, it gets the Matt D seal of approval. Legendary illustrator/comic artist Jeff Jones passed away today. How do a few scribbled lines on a page become the most beautiful woman you ever laid eyes on? When Jones is the one scribbling. Charlie Sheen killed by bear! I thought I was pretty well versed in 80s horror schlock, especially films from the year 1987. So believe me when I say my mind was blown when I came across Grizzly 2: The Predator, also known as Predator: The Concert. I’m a big fan of the original Grizzly for the “it’s so bad it’s good” factor, but Grizzly 2 makes the original look like Jaws. Grizzly 2 was never officially released, and never finished for that matter. Sweet live footage of some great New Wave rock bands and early appearances by Charlie “The Wraith” Sheen, George “Return of The Killer Tomatoes” Clooney, and Laura “Ladies and Gentlemen, the Fabulous Stains” Dern make this a must see. I recently snagged a pretty well compiled work-print bootleg and obviously footage is all over the internet. Millions of years of evolution have just become mankind’s worst nightmare. While on a trip to a video store that has decided to close its doors after nearly 25 years in the business, I finally found a VHS copy of the 1994 Gary Jones‘ giant killer insect flick Mosquito, and about 80 other tapes for that matter. See how I turned a negative thing into a positive, even if the positive is for a selfish reason… Life is too short for splitting hairs, right? From Sci-Fi Master, Andre Blay, Executive Producer of “The Blob”, “Prince of Darkness”, and “They Live” and the special effects team of “Batman Returns”, “Evil Dead III”, and “Darkman”, comes nature’s most horrifying thriller! 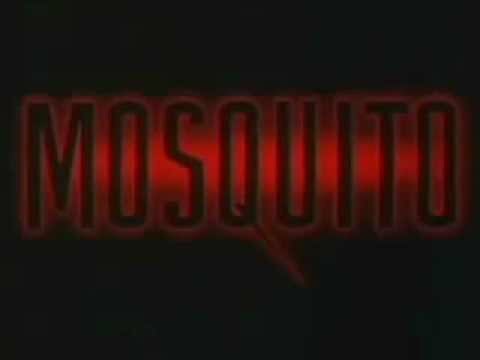 In the terrifying tradition of Alien and Predator comes Mosquito, a spinetingling tale of an alien force that transforms tiny insects into monstrous mutants with a lust for human blood. Now try to find yourself a copy of this amazing lost sci-fi horror classic. R.I.P. Mr. Video Oakdale, Long Island. Cult queen Tura Satana passed away Friday night. Tura Satana, the actress whose authoritative presence, exotic looks and buxom frame commanded the attention of viewers of Russ Meyer’s 1965 cult movie “Faster, Pussycat! Kill! Kill!”, died on Friday evening in Reno, Nev. I remember my first time seeing Tura Satana was in Ted V. Mikels’ classic schlocker Astro-Zombies. Anyone who has seen her in anything has taken notice, and interest for that matter. In fact, I learned much of her inspirational story in her own words, in Shade Rupe’s most recent book Dark Stars Rising.